1st Gear: What The Hell Happened, Toyota? Just a scant 15 years ago, Toyota was on top of the world and ahead of the curve. It had the only viable hybrid on the road (sorry, Honda Insight), and it was years ahead of everyone else. It seemed like Toyota would be on top of the alternative-fuel game for decades to come. And then Toyota got fat, gorging itself on Prius sales. 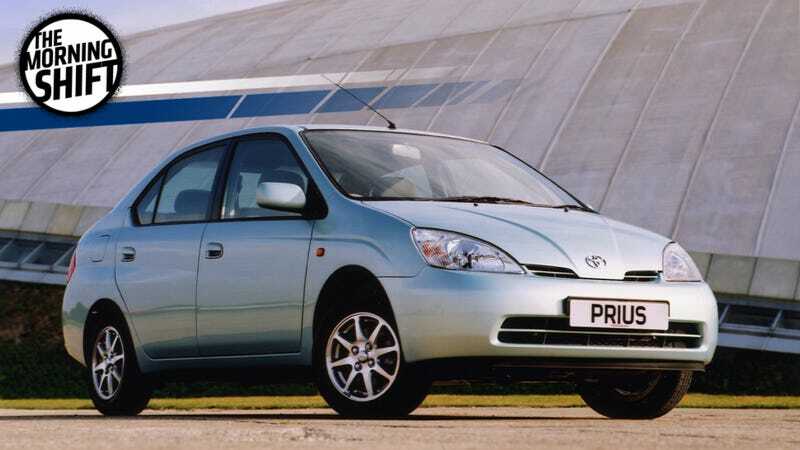 It churned out Prius after Prius, with the newest model not hugely different from the second generation that debuted in 2003. Meanwhile, everyone else was playing catch up and then some. Nissan got an electric car. GM got an electric car. BMW, Mercedes, Volvo, and Volkswagen all put electric car plans into overdrive. Tesla began to exist. Conservative Toyota continued to build the same old Prius. Oh sure, it built hydrogen weirdos like the hand-built Mirai, but those never sold in numbers big enough to count, and a company as old school as Toyota refused to build the infrastructure needed to support it. Faced with a chicken-and-egg problem, Toyota just threw up its hands (unlike Tesla, which when faced with the same problem, built its Supercharger network). Toyota Motor Corp. deepened a partnership with battery producer Panasonic Corp. as Asia’s biggest carmaker, which initially bet big on hydrogen for clean technology, accelerates efforts to make its presence felt in electric cars. The largest supplier of electric-car batteries and Toyota together are exploring the development of prismatic cells, and the collaboration will include solid-state batteries, the two companies said at a news conference in Tokyo on Wednesday. The agreement builds on a joint venture Toyota and Panasonic have had for over two decades. “A little bit late” is an understatement, my dude. The Reuters article goes on to say that this all gets very complicated, as it involves the Porsche-Piech families that control VW, as well as its poweful labor unions, so Ducati could once again end up on the block. But for now, it stays. 3rd Gear: Hyundai And Kia Recalling More Than Half A Million Vehicles In The U.S.
Hyundai and Kia sell some of the most affordable, and no frills, new cars on the market. Unfortunately, even the simplest and sturdiest grocery-getter can end up with faults. Hyundai is recalling more than 390,000 Hyundai Elantra vehicles from the 2013 and 2014 model years, according to the Detroit Free Press, because the brake light might not go out after the brake pedal is released. More than 134,000 Kia Fortes from 2012 to 2014 are also affected. The company says there have been no reports of injury or crashes due to the problem and the fix is pretty simple. Owners can start heading to the dealers for replacement parts on Jan. 30. Ford is offering voluntary buyouts to 150 people at four factories in Michigan, the Detroit News reports. After decades of awful news, maybe this isn’t the worst? I dunno, man, I’m trying to be cheery here. This is all very dumb, for two reasons. The first reason is that federal rules are always set in agreement with car companies, and the standards are always super-easy hurdles for them to clear. We know this because the government contracts companies like Munro & Associates to figure out that very easy hurdle for them to clear. It’s like a teacher figuring out that you can get a 47 percent on your math final, and then setting a passing grade of 47 percent. That’s how silly our system is. The other reason is because cars are generally developed on a five- to seven -year timescale. Cars that are all good with the Obama administration agreements are already long into their development. This is so stupid, and nothing will change. On this day in 2003, Seattle preservationists load the city’s iconic Hat ‘n’ Boots Tex Gas Station onto a tractor-trailer and drive it away from the spot where it had stood for almost 50 years. The hat, a 44-foot–wide Stetson, went first; the 22-foot–tall cowboy boots followed it one at a time. (The giant hat had always been mostly for show–it had perched atop the filling station’s office, luring drivers off the highway. The boots, on the other had, were eminently functional: The left one housed the men’s restroom and the right one housed the women’s.) The buildings were famous examples of mid-century roadside Pop Art–eagle-eyed viewers can even see them in the opening credits of the film “National Lampoon’s Vacation”–and the move, to a nearby park, saved them from demolition. Neutral: How Long Do You Think It’ll Take Toyota To Make A Good Electric Car? How about 10 years? Maybe 20?